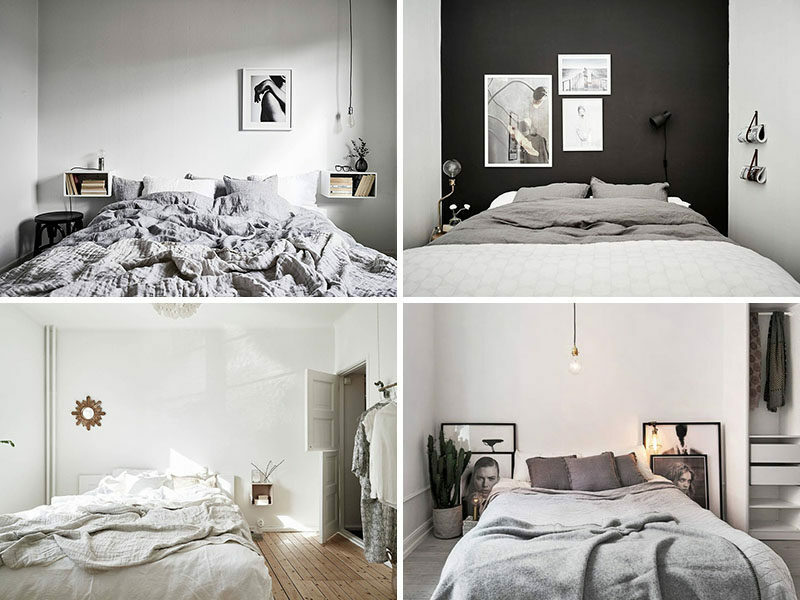 Scandinavian bedrooms are among some of the most relaxing spaces you can find. 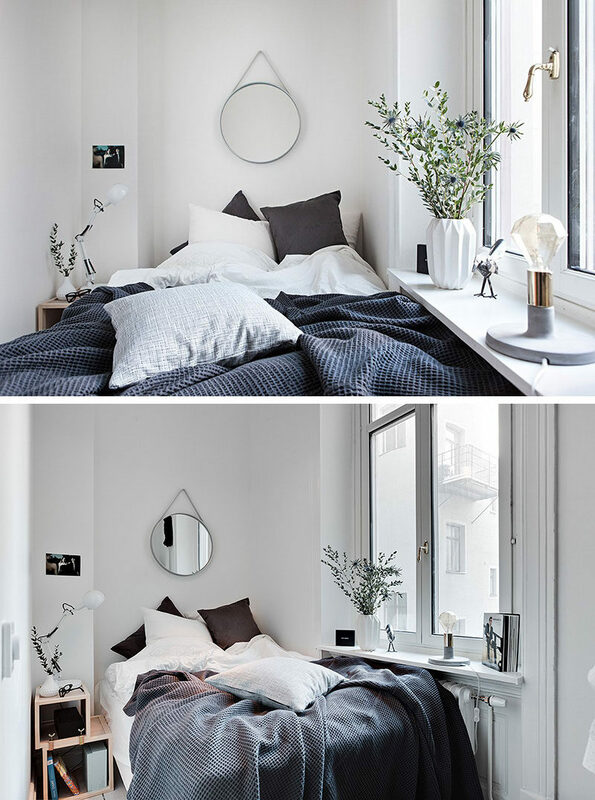 Minimal clutter, luxurious blankets, bits of nature, and lots of light make them nearly impossible to leave. 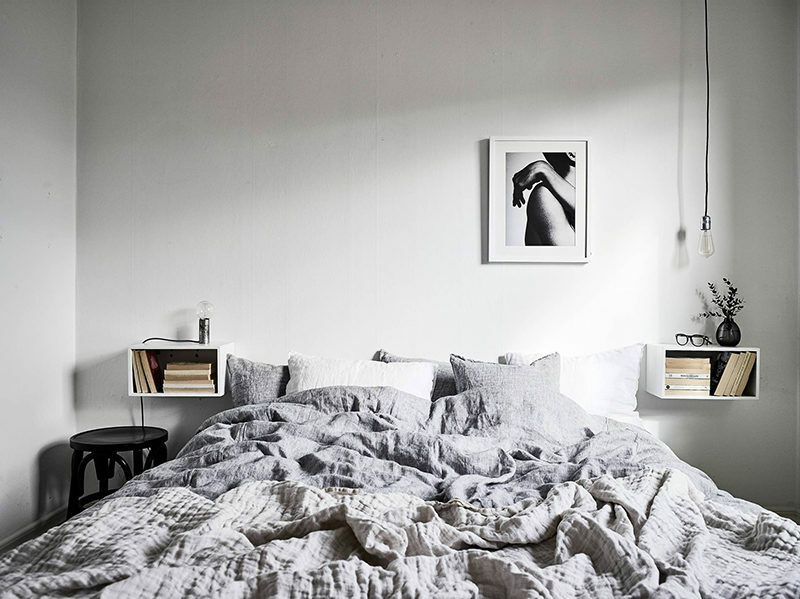 To help you create your own Scandinavian inspired bedroom, here are a few key elements you’ll typically find in them. 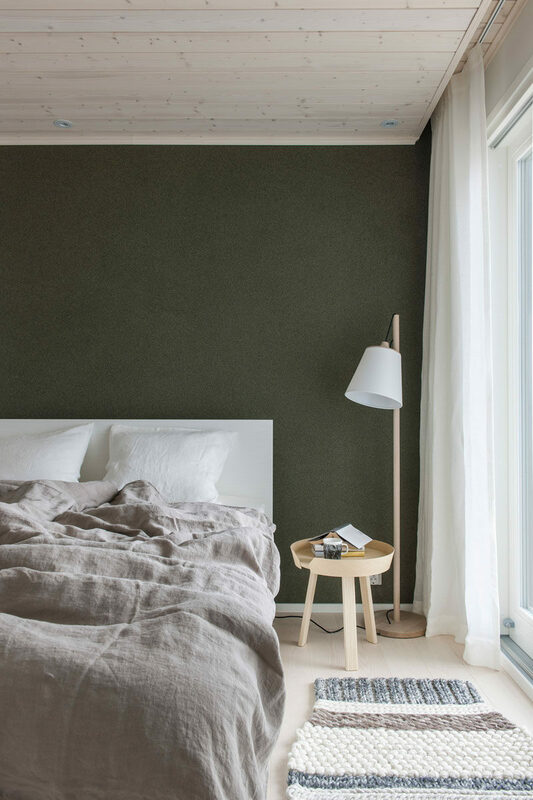 Scandinavian bedrooms, like the rest of their interiors, usually have minimal amounts of color. They’re kept natural and bright and typically come in one of two color schemes. 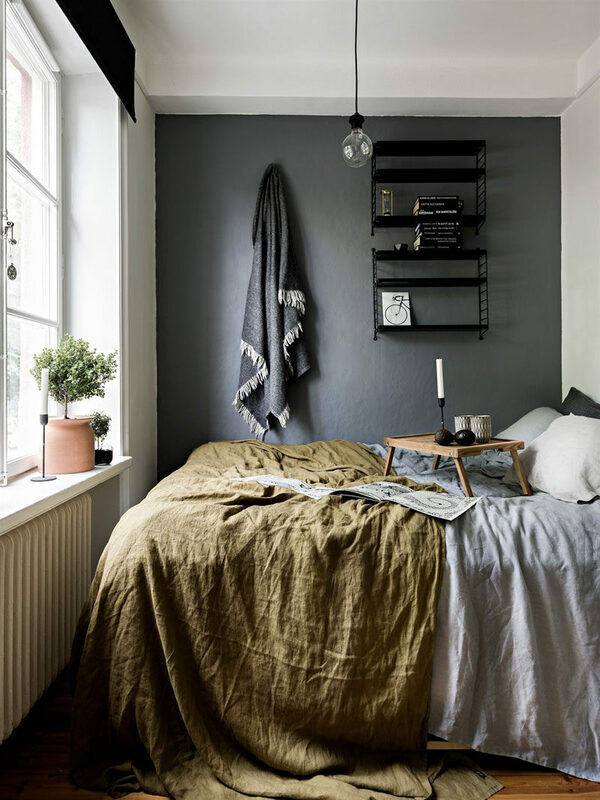 These bedrooms either feature all dark walls, a dark feature wall, or richly colored textiles that give the room a cozy feel and add a sense of depth to the space. Styling by Lotta Agaton. Photography by Kristofer Johnsson. Interior design by Niko Karkkainen. Photography by Pauliina Salonen. Styling by Copparstad. Photography by Spinnell for Historiska Hem. 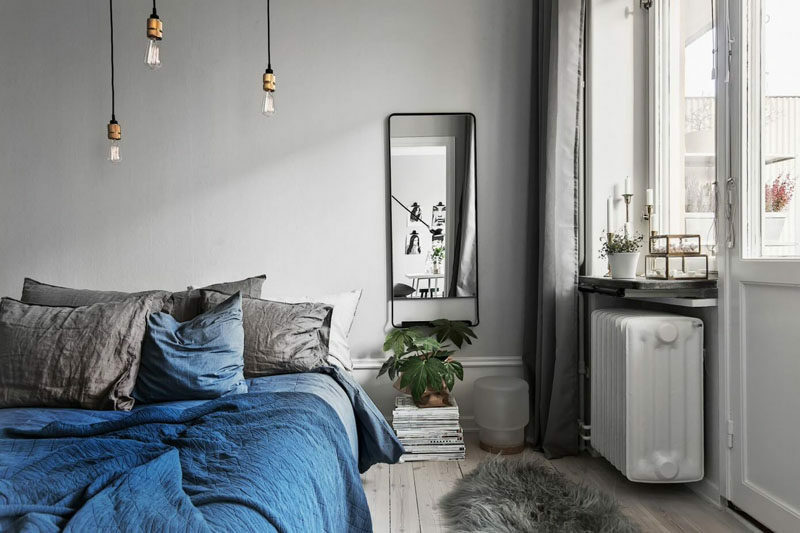 Interior design by Scandinavian Homes. 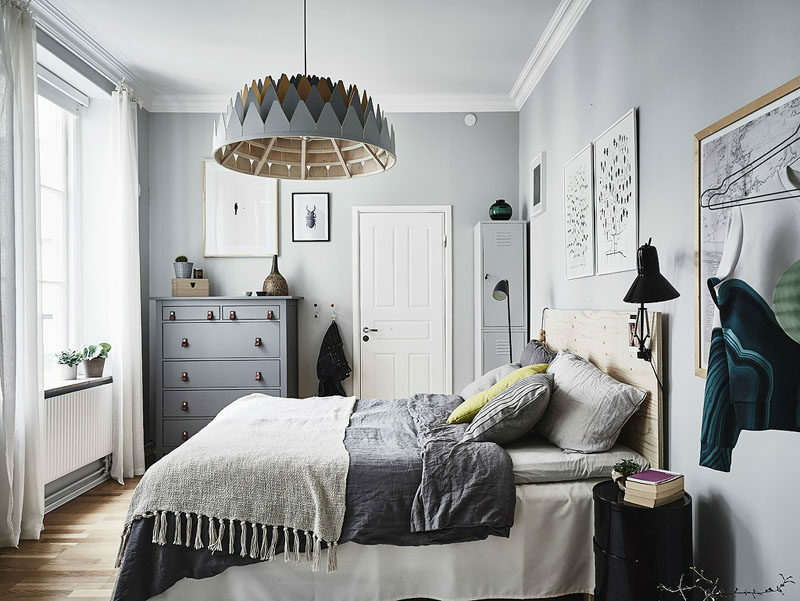 Another common color scheme in Scandinavian bedrooms is white and light tones of grey. 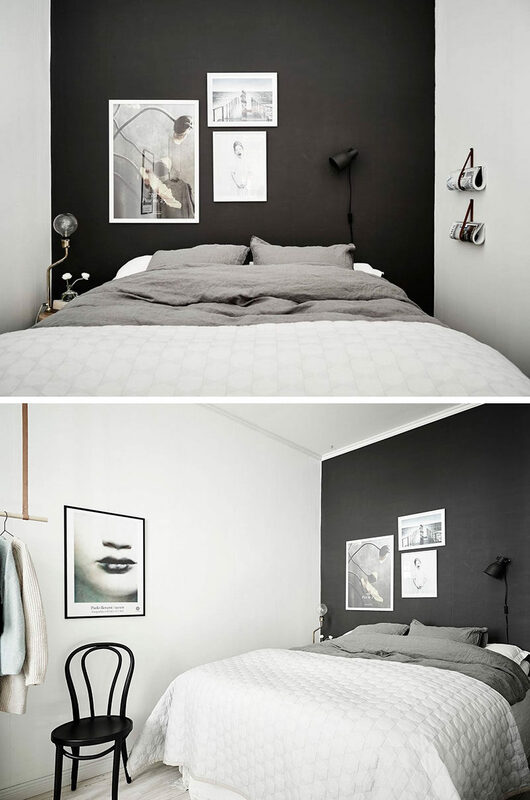 This keeps the space feeling bright but the grays give it a soft slightly contrasting tone. Inspiration from Stadshem. Photography by Jonas Berg. 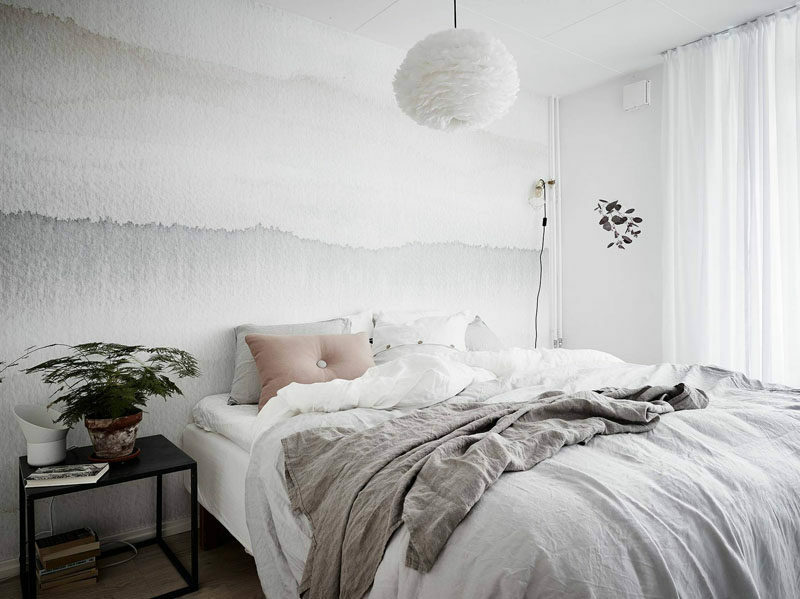 Scandinavian bedrooms are all about texture. Crumpled linens, layers of blankets, piles of pillows, and wood elements create the perfect mix of textures that add dimension and warmth to the bedroom. 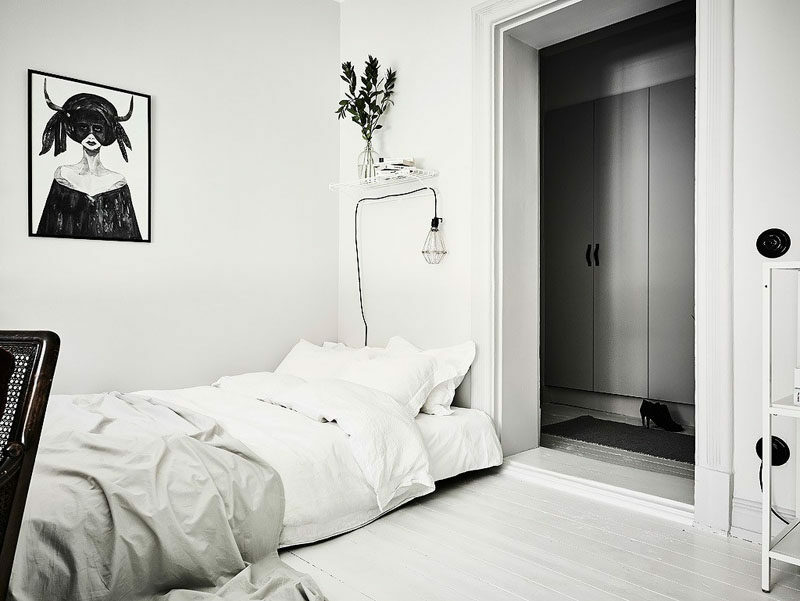 Styling and photography by Johanne Dueholm of Scandinavian Lovesong. Inspiration and photography by Entrance Makleri. 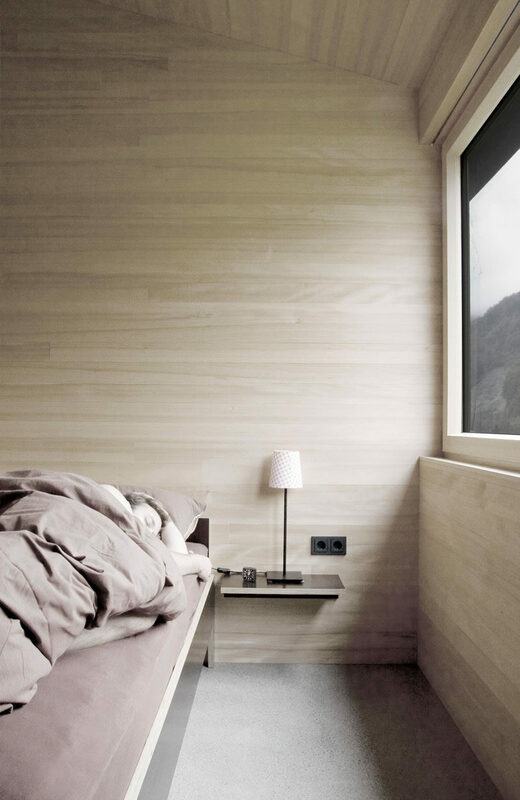 Interiors by Architekten Innauer Matt. Photography by Björn Matt. If you haven’t noticed, Scandinavian decor is usually made of pieces that are both functional and nice to look at. Every piece is carefully selected to make sure that it serves more than just the function of looking nice. 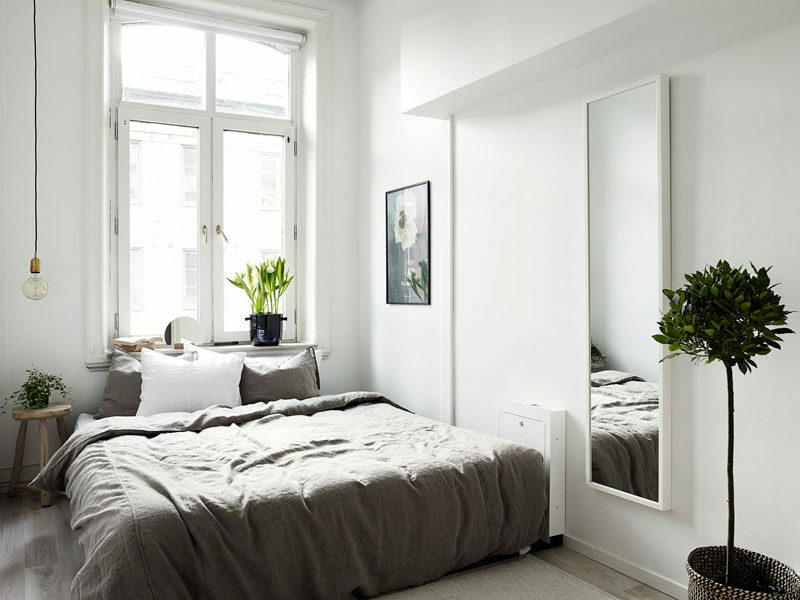 Plants are often found in just about every Scandinavian room. 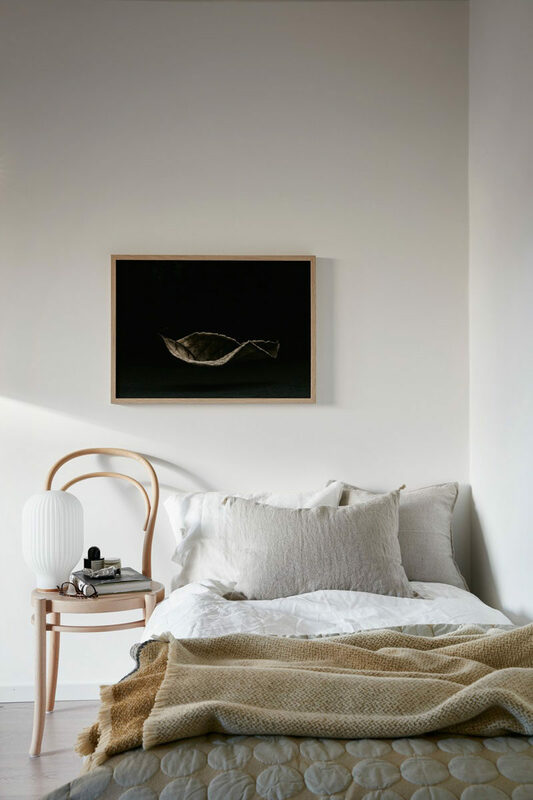 Whether it’s a large house plant sitting in a corner, a succulent on a bedside, or dried flowers in a vase on top of the dresser, elements of nature are essential. And while they’re beautiful to look at, live plants also serve to purify the air. Inspiration from Stadshem. Photography by Krister Engstrom. 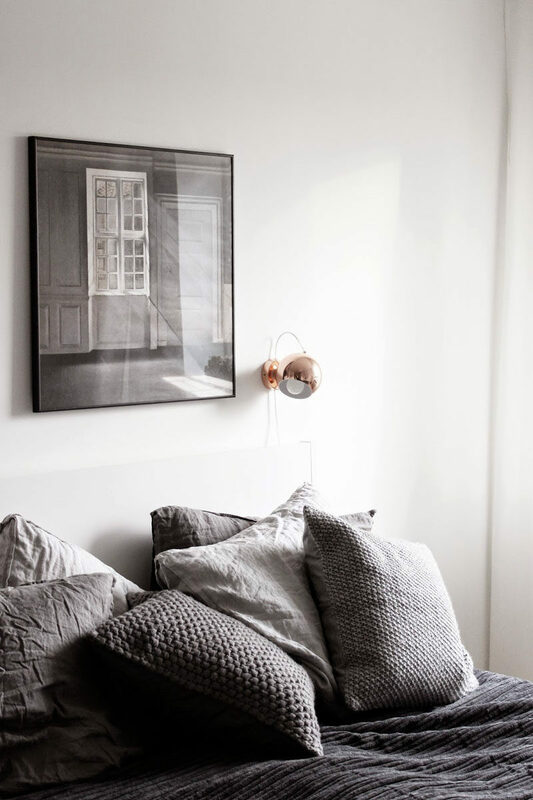 Textiles are another way Scandinavian bedrooms include multi-functional decor pieces. 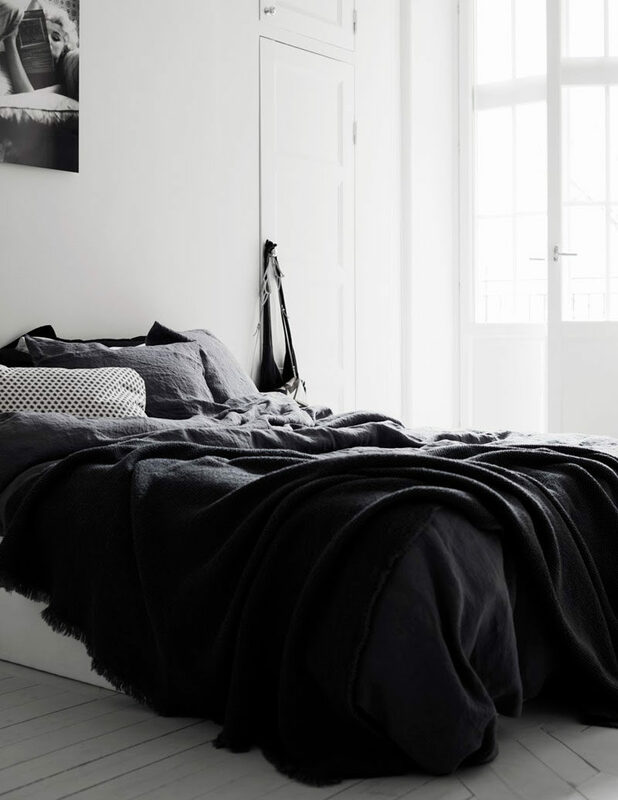 Chunky knit blankets, wrinkly linen throws, lush carpets, and perfectly fluffed pillows add warmth and comfort to the space but also look beautiful when draped across the end of the bed or piled up at the head of it. 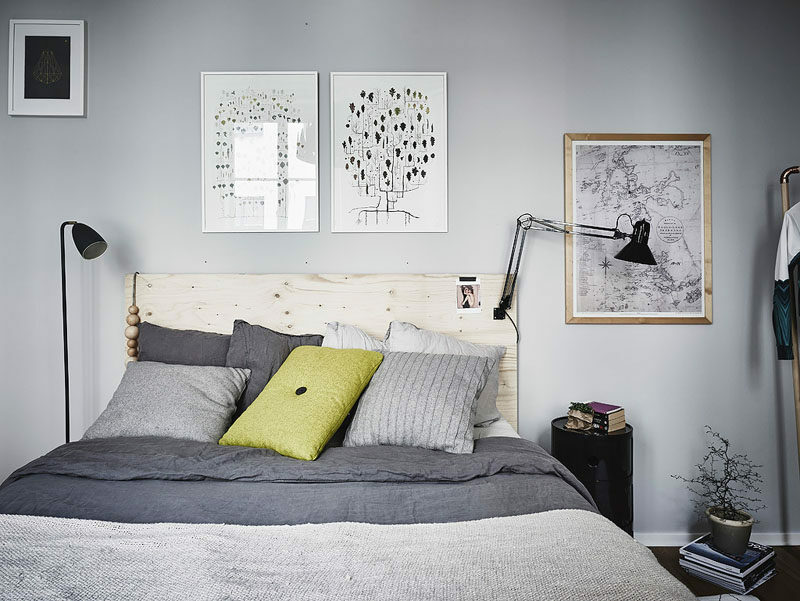 Styling by Anna Bjelkolm. Photography by Rebecca Martyn. Styling by Emma Fisher. Photography by Jonas Berg for Stadshem. Art is an exception to the functional and beautiful rule – unless of course you count looking beautiful as the function. 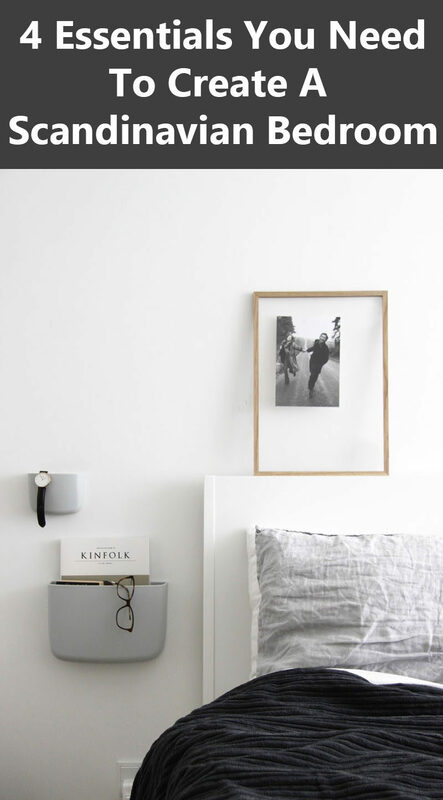 Black and white prints and photos are put on display in simple frames to let the art stand on its own. 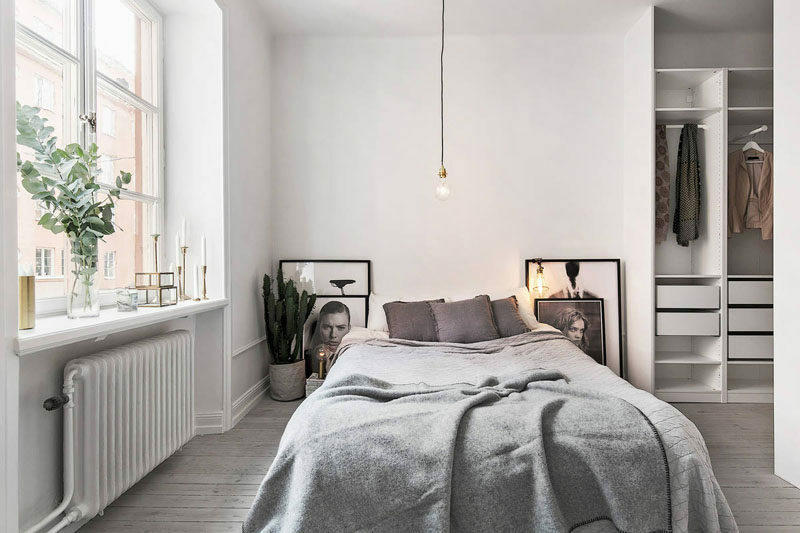 And while some bedrooms feature art on the walls, leaving large pieces in their frame on the floor is another common way art is displayed in Scandinavian bedrooms. Styling by Martina Mattsson and Eleven Rooms. Photography by Jonas Berg for Stadshem. 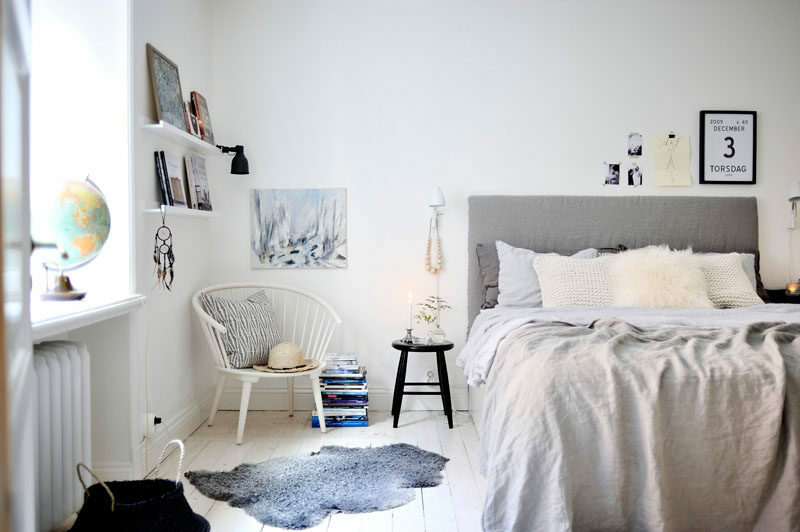 Furniture is kept to a minimum in Scandinavian bedrooms. Dressers are used when necessary but clothes are usually kept in closets or on hanging rods displayed somewhere in the room. 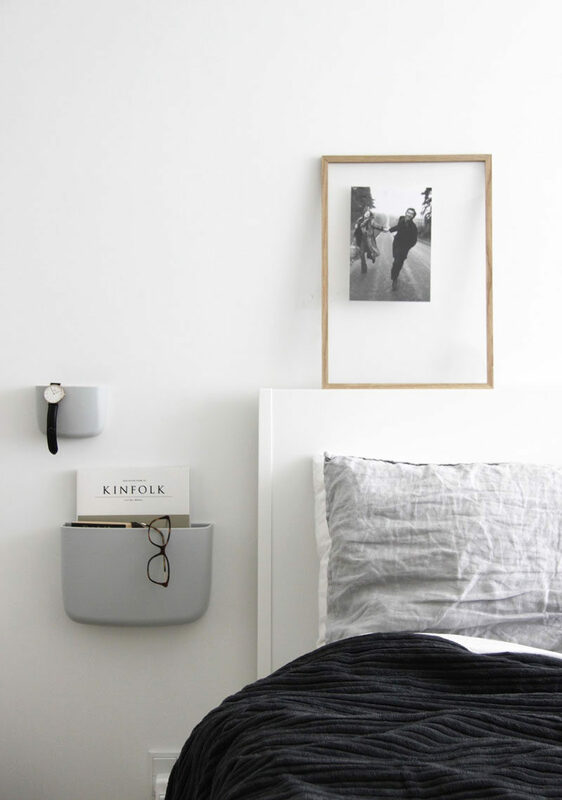 Night stands in Scandinavian bedrooms are also usually unique in their design or material. 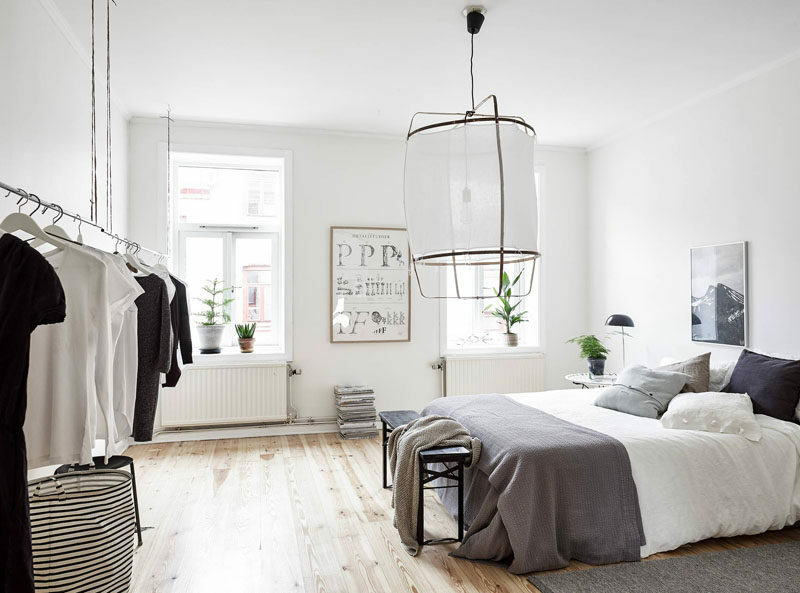 Chairs, crates, baskets, or piles of magazines are common finds in Scandinavian bedrooms give the room a minimal yet functional feel. Styling by Josefin Haag for Fantastic Frank.